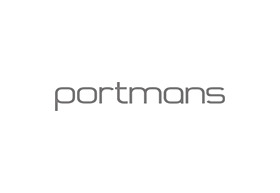 The Portmans store at Chadstone is designed for metropolitan girls, ladies, and women, who like to stay at the forefront of fashion. It is home to the comprehensive range of fashion products and style fixes that complement the strong, independent, and unapologetically fashionable women who wear it. Despite being in the industry for seven and a half decades, the fashion label continues to be known for its bespoke tailoring, luxurious knits, and the versatile fashion essentials. It is also known for its outspoken support for notable, trend-setting women achievers. From Miranda Kerr and Jess Hart to Alison Brahe, Abbey Lee Kershaw, and Elyse Taylor, Portmans is associated with some of the most outstanding talents in Australia. The prints, patterns, designs, materials, and colours used by Portmans are fresh, in vogue, and trendy.